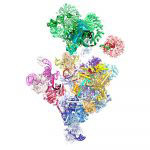 The MRC Laboratory of Molecular Biology (LMB) is a research institute dedicated to the understanding of important biological processes at the levels of atoms, molecules, cells and organisms. In doing so, we provide knowledge needed to solve key problems in human health. Our scientists tackle fundamental, often difficult and long-term research problems. The LMB has made revolutionary contributions to science, such as pioneering X-ray crystallography and electron cryo-microscopy (cryo-EM) to determine protein structures, the sequencing of DNA and the development of monoclonal antibodies. Twelve Nobel Prizes have been awarded for work carried out by LMB scientists. The LMB also promotes the application and exploitation of our research findings, both by collaboration with existing companies and the founding of new ones, helping to advance medical research and the translation and application of knowledge. The LMB provides an unsurpassed environment for both young and established researchers, with state-of-the-art facilities and a unique scientific culture. The LMB has always been very diverse, with a truly international outlook. We currently employ men and women from over 50 countries, and LMB alumni work in research organisations across the world. The process of reading the genetic code of DNA to produce proteins involves an intermediate molecule called messenger RNA (mRNA). Initially mRNA contains sequences that won’t form part of the new protein, termed introns, as well as protein-coding sequences known as exons. Life is based around a complex system of information storage in DNA and conversion of that information into the RNA and proteins that perform the functions to allow our cells and us to survive. 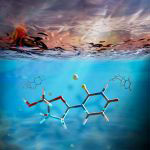 Understanding the origin of life requires identification of plausible mechanisms by which the chemical building blocks of this system might have arisen on early Earth. Pressman, AD., Liu, Z., Janzen, E., Blanco, C., Müller, UF., Joyce, GF., Pascal, R., Chen, IA. Charenton, C., Wilkinson, ME., Nagai, K.